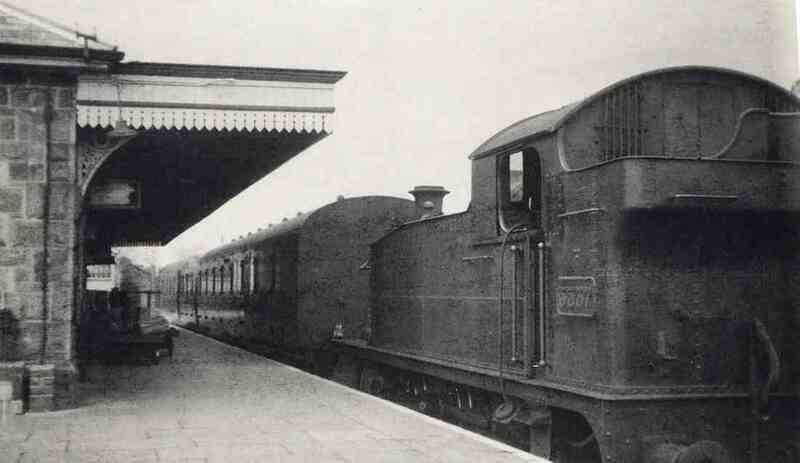 All photographs on this page have been published elsewhere and are presented here as low-resolution images for information purposes only, to illustrate the points being made about how the station developed. Credit has been given for the photographs where known. 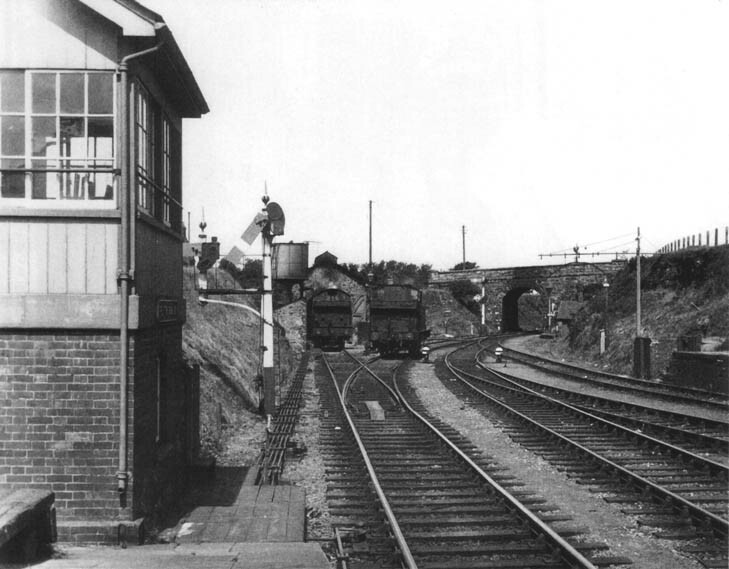 Originally designed as a through station with a view to bridging the road at the end of the embankment and continuing to The Lizard village, this idea was abandoned with the advent of the first commercial motor bus service. 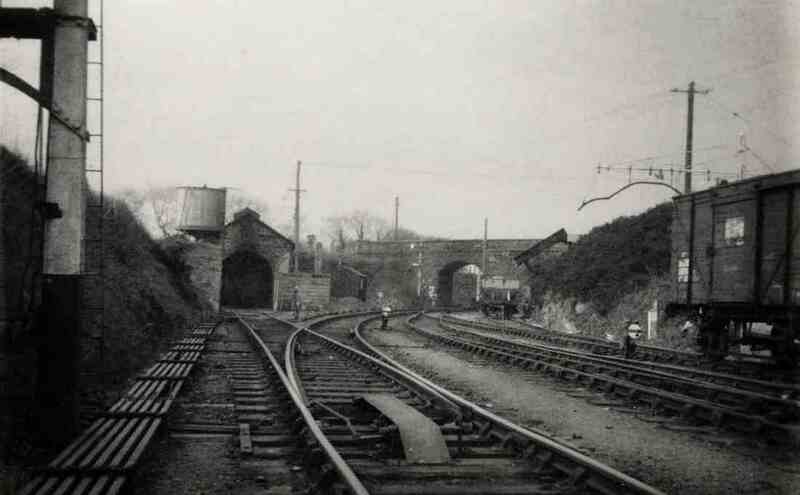 A carriage shed was built at the end of the embankment. 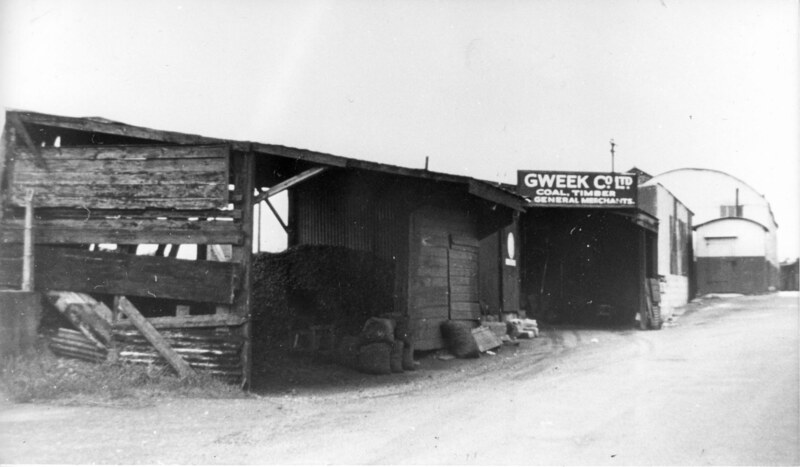 The author believes this photo to date from the late 1930s or early 1940s. 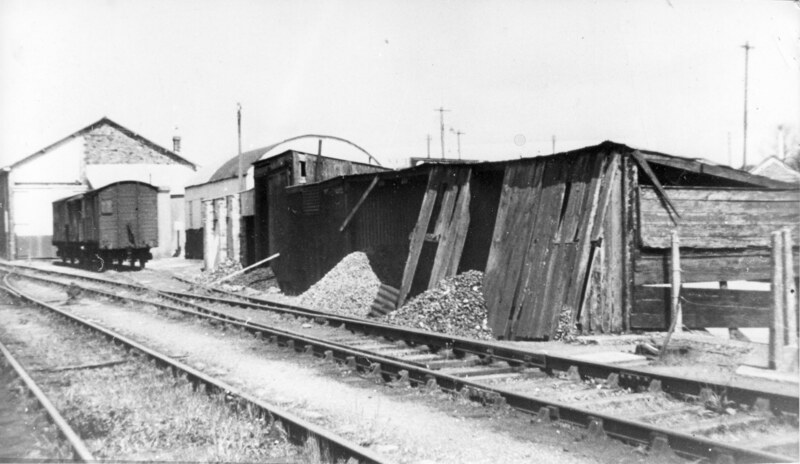 This is one of the few photographs showing the following:- original coaling stages, a small platelayers hut (or ticket platform?) and gas lamp near, and to the right of, the bridge. 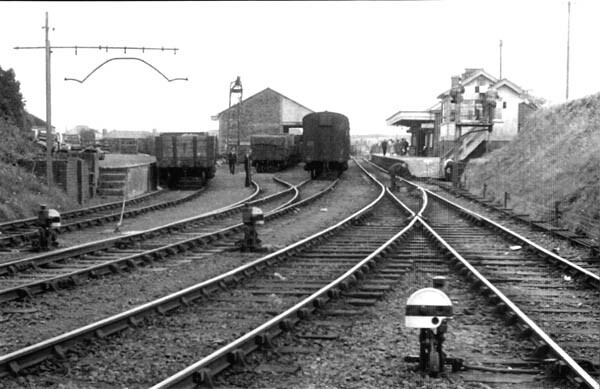 But by this time the tandem turnout at the station throat had already been converted to two turnouts (mid 1930s), the ‘stone chute’ siding had been lifted (1930s), the loading gauge with lifting sections had been put near to the loading bay, and the Signal Box steps had been repositioned to be perpendicular to the tracks. G N Southerden. 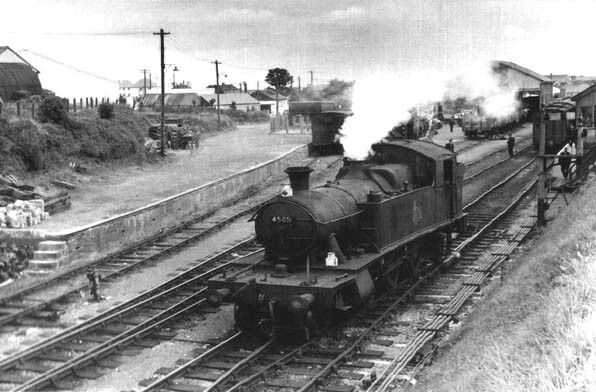 This photo was taken on 21 July 1957 as 2-6-2T No 4505 backs onto its train. 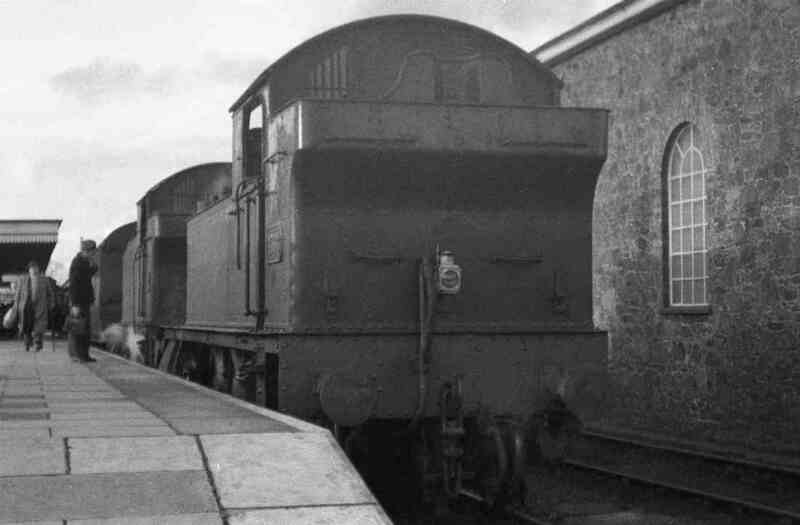 Offers a clear view of the loading bay where the original stone structure (from just above the loco’s lamp) was extended to the left using brick to the length shown. Peter Gray. 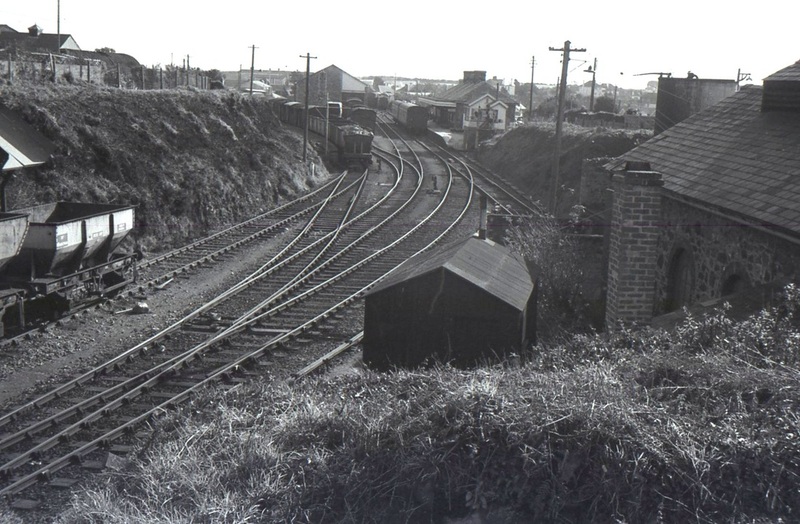 Two photographs of unknown origin but taken towards the end of the branch line’s operation showing the interesting buildings on the south of the goods shed. 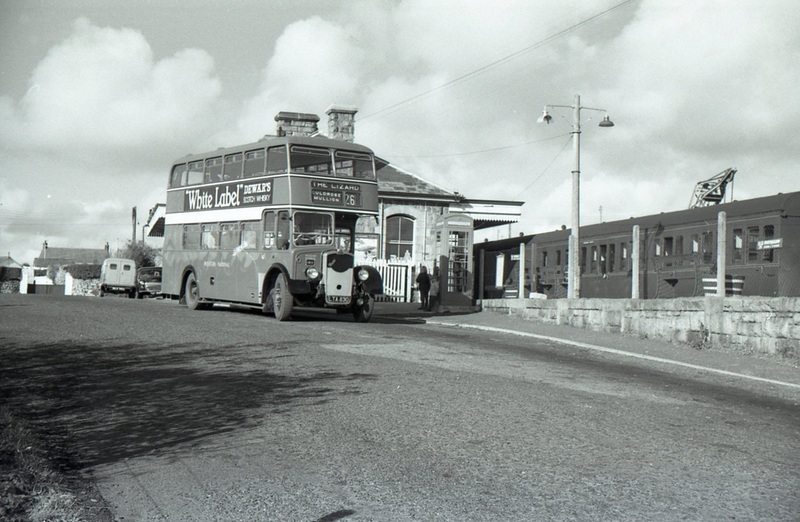 The large arch-roof building was used as a garage, possibly for the motor bus to the Lizard. Photos courtesy of David Collings. 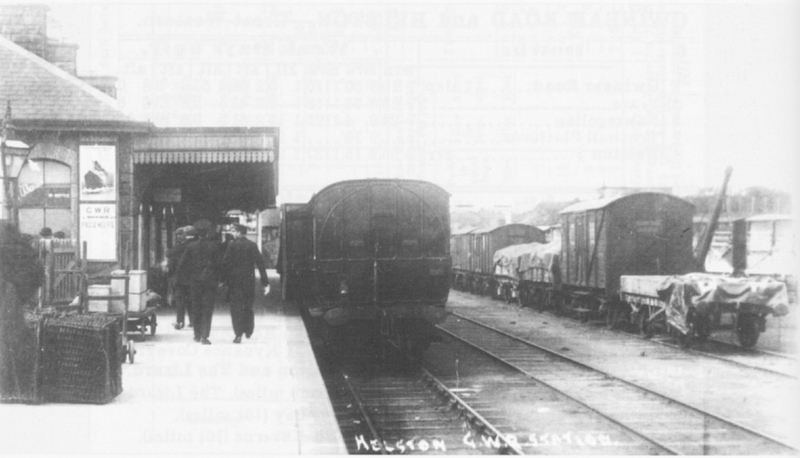 Helston station. 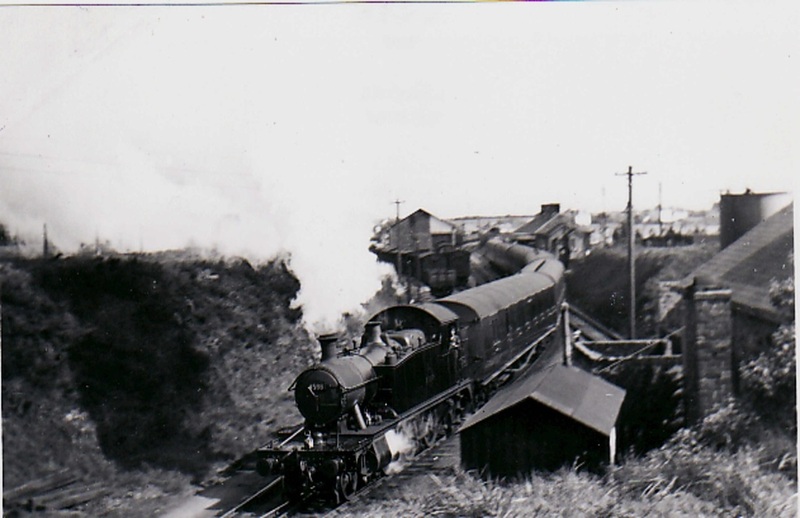 4588 leaving on a lengthy train at 16.10 on 7th May 1955. Probably Helston Flora Day. N.B. Flora Day is normally on 8th May but, in the event of it falling on a Sunday, the date is changed. Copyright: J. Wood Collection. 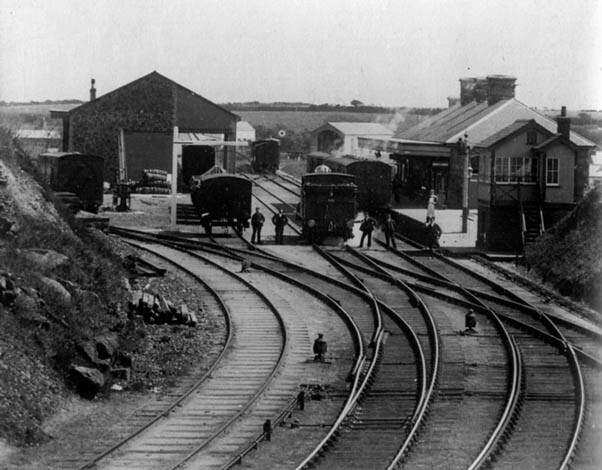 Left: Helston railway station. Right: 4552 ready for the right away with a passenger train. Copyright: Graham G. Matthews. 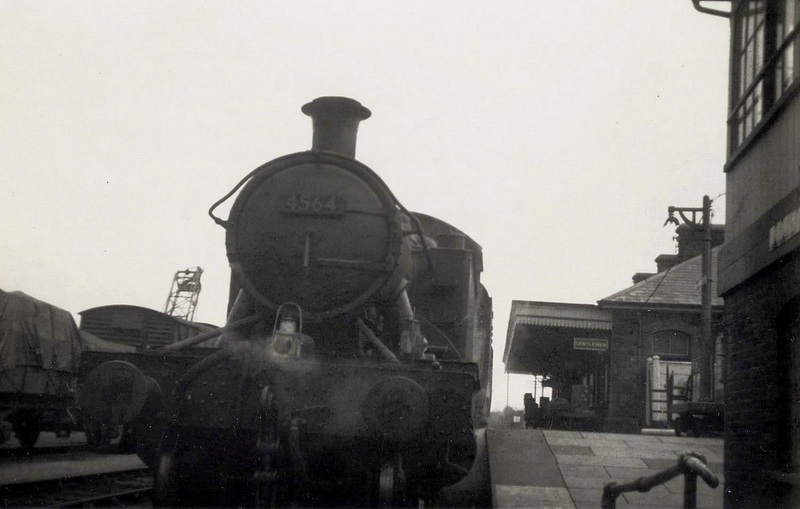 4564 stands at the head of its train ready for the run to Gwinear Road. March 1962. Copyright: Sid Sponheimer. There is a wealth of detail in this picture by Sid Sponheimer. A wagon stands below the shute at the Serpentine stone-chute siding. March 1962. Copyright: Sid Sponheimer. 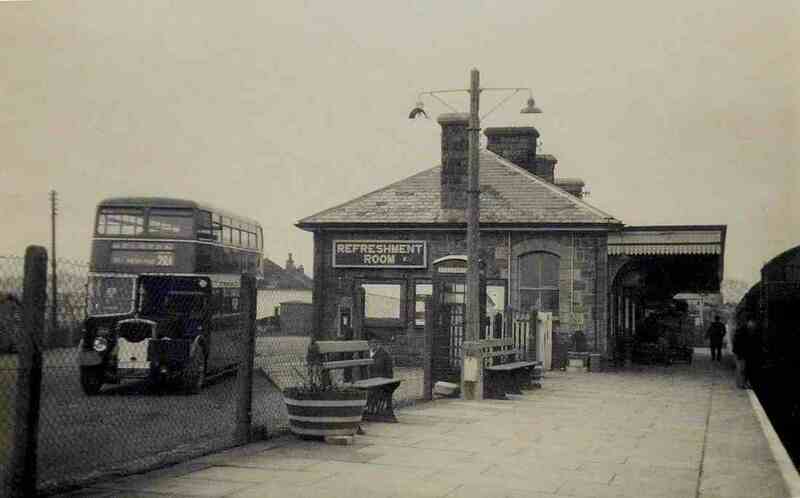 The refreshment room was quite popular with both passengers and pupils at the local school. A local bus stands awaiting passengers. 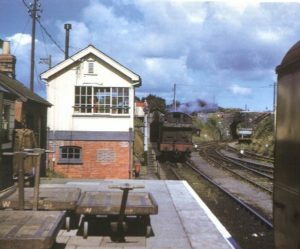 A lady can be seen leaving the station (between the telephone box and post box) – it was quite a walk down the hill to the centre of town. March 1962. Copyright: Sid Sponheimer. 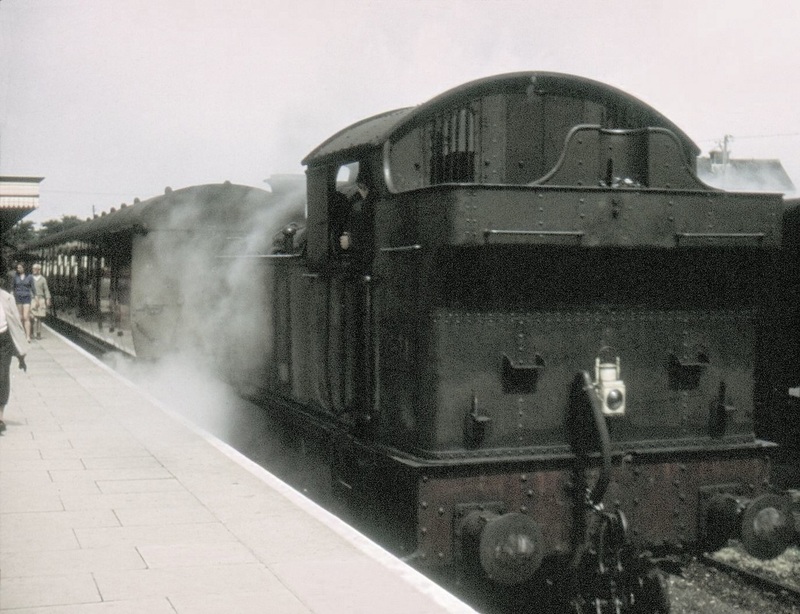 5537 has arrived with a train from Gwinear Road and is yet to run round. March 1962. Copyright: Sid Sponheimer. Waiting outside the station was this fine Bristol ready to provide the bus link to The Lizard. 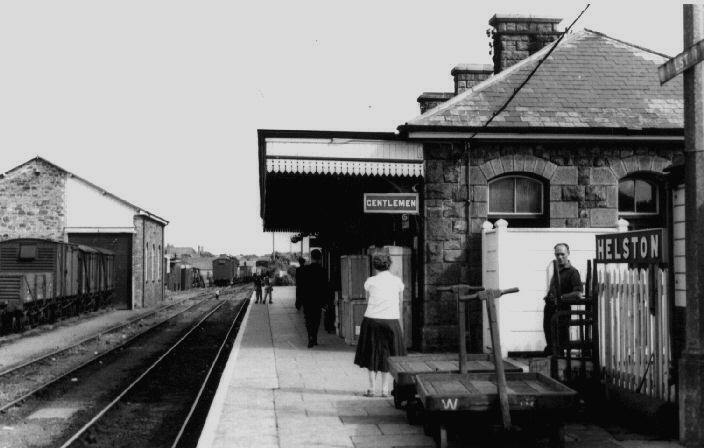 The station had been built as a through station with a rail extension to the Lizard in mind. 3 Nov. 1962. Copyright: Mike Roach. Helston station from the bridge at the throat of the station. 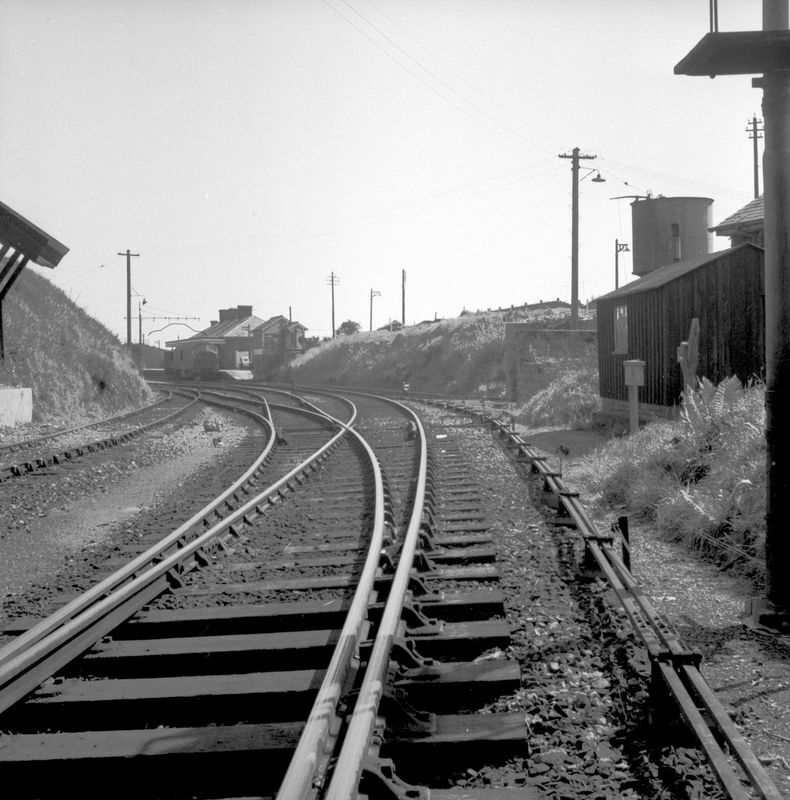 The engine shed to the right whilst to the left lay the ‘surpentine siding’ served by a shute. The locomotive has come off the train and is commencing the ‘run round’. 3 Nov. 1962. Copyright Mike Roach. 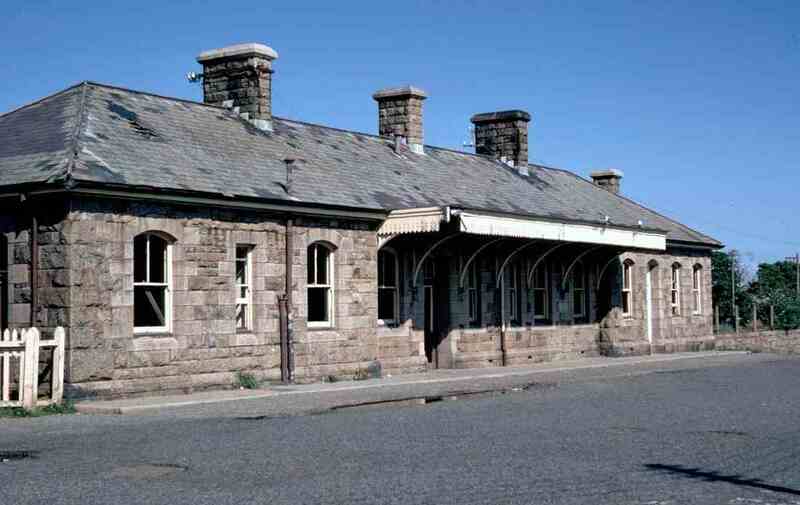 The train is still waiting, time for a shot of the fine station building complete with its Refreshment Room. A footpath led alongside the cutting to the bridge at the throat of the station. 3 Nov. 1962. Copyright Mike Roach. 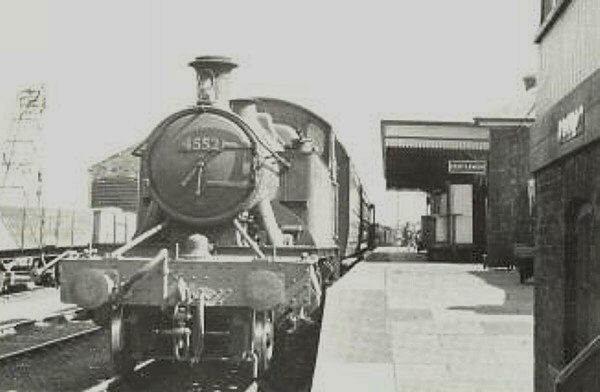 It is 1960 and an unidentified ’45’ has just arrived at Helston. Copyright Andrew Jones, Steamindex. 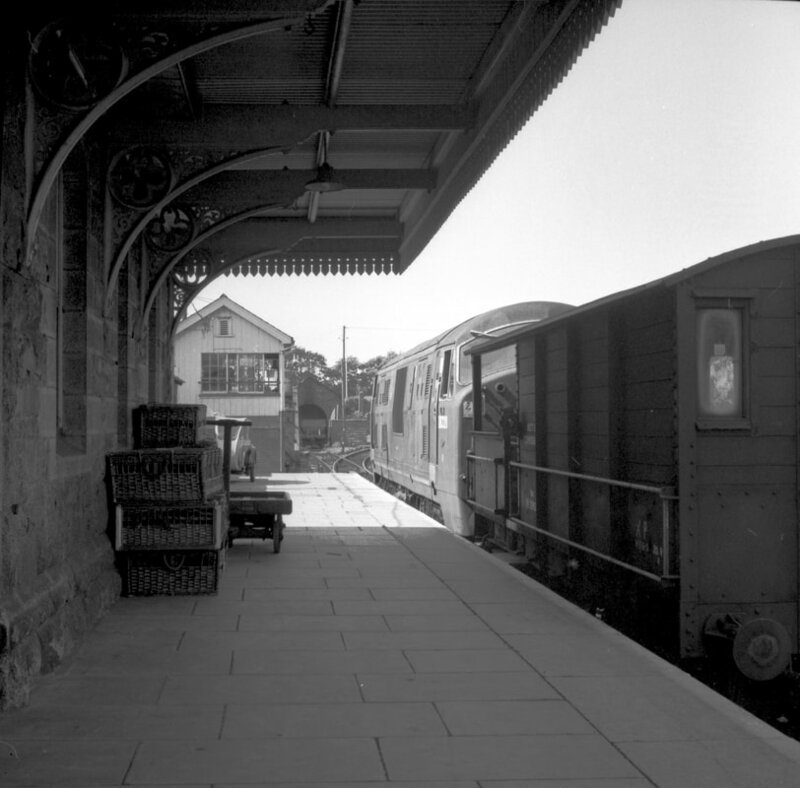 Evocative photographs of Helston whilst the branch was still used for freight. September 1964. Copyright: Laurence Hansford. 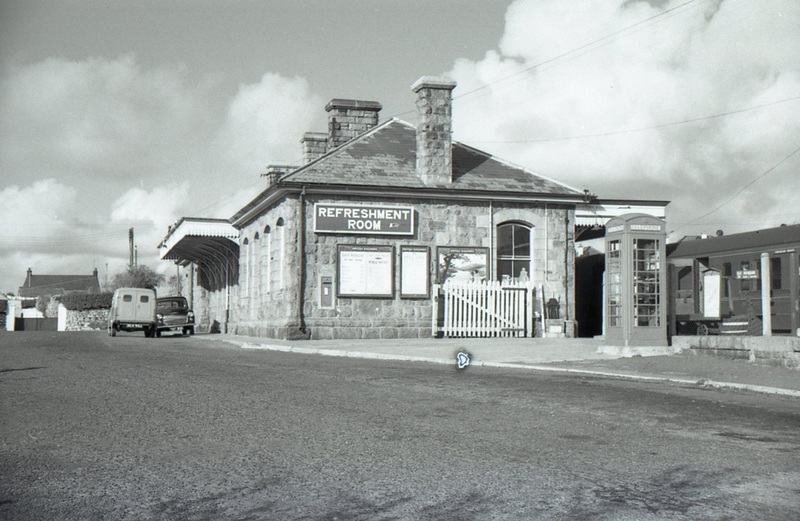 Helston station building after complete closure of the line. July 1967. Copyright: Doug Nicholls.